First up check out our new collars! 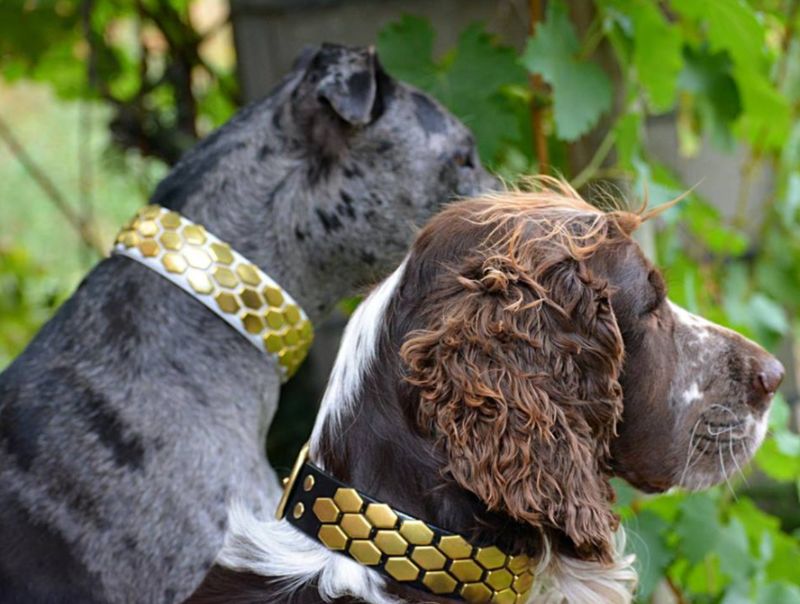 They're (again) from collar & ruff in WA - double collar and lead set. This time in leatherite (fake leather) for more durability in adventures with the added bonus of being half the price of a leather set. They feel nice, clean super easy, are nice and durable and pretty quick turn around between purchasing and arrival. Because they have enough size to allow for both dogs, I can mix and match the collars and leads between them :D although technically black is for T1 and white is for T2. Next up - decked out in our fancy new collars - Thistle has a visit at the new dog wellness centre - it's a new rehab physio centre in melbourne! has all the works with balance items, hydrotherapy treadmill etc. Most importantly, they identified the potential cause of our onagain-offagain limp. Imbalance issues from favouring the now-known-to-be-an-old-broken-leg-that-ISNT-CANCER has some muscle loss on the affected leg and compensation/overworking the other leg and lumbar spine. She took some photos and videos for me to show the difference and then them muscles working on a simple balance exercise. Look at them twitch in the video! Edited March 31 by Two Best Dogs!